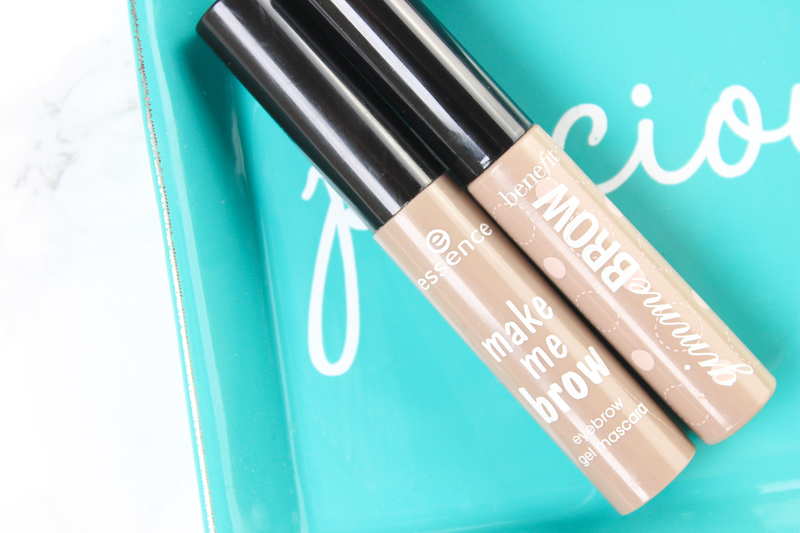 I've always loved a good dupe and this little steal in the form of Make Me Brows by Essence is no exception. Doesn't it just scream Benefit Gimme Brow? 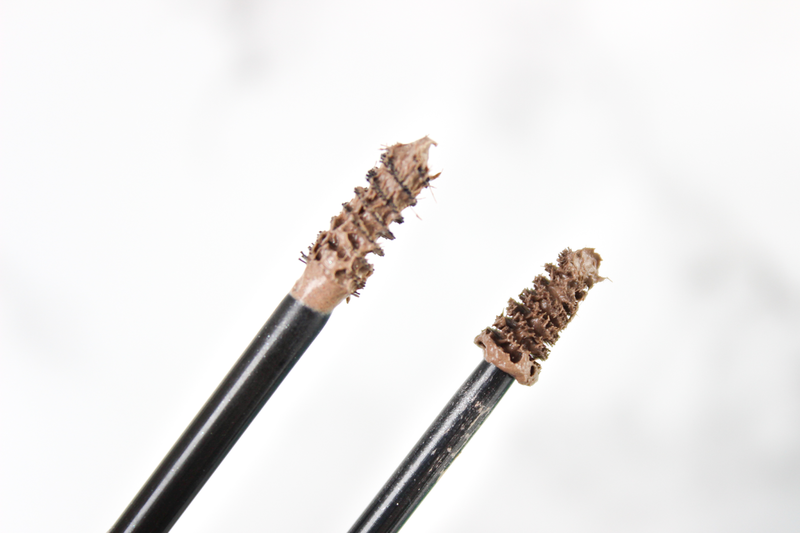 We're talking almost identical packaging, the exact same formula and a very similar wand - in BOTH shades. I've even been reaching for it over my Gimme Brow which seems to clump in the tube once you've had it a while. And that's not all they've got up their sleeves, Essence has a few more dupes of the well known brand which you can check out in my latest haul video. My dear readers, I am having a nail-related dilemma and I really need your help to solve it! Behind the two beautiful sets of the Kiss Fantasy Gel Nails* is the sneakiest glimpse of my End of Year Ball Dress - don't worry you'll get to see the whole thing soon! - that goes perfectly with both pairs - so which do I choose? The black (KGNO5*) are oh so vampy and little more glamorous in length plus they match the top of the dress. Where as the gold (KGN08*) blend flawlessly with the bottom, theymake me feel like a princess and they're shorter and that means they're less likely to fly off, right? Oh I don't know! What do I go for, vamp or princess? YOU decide in the comments! I'll be posting my GRWM: End of Year Ball Edition next week. A little over a month ago, I did something that I never thought I would do, ever. That I vowed I never would. I went and got myself an iPhone. I have had many epic love stories with Androids, and I'll admit I do still miss their versatility, but I've got to say that the heartbreak is shaping up to be a whole lot less with iOS. The only problem was, I just couldn't find a stylish case on the high street - I should know, I spent 3 and a half hours looking in more than ten phone shops - which killed me a little inside when I saw Primark were offering Minion cases for the 5s. I mean c'mon, FREAKING MINIONS. 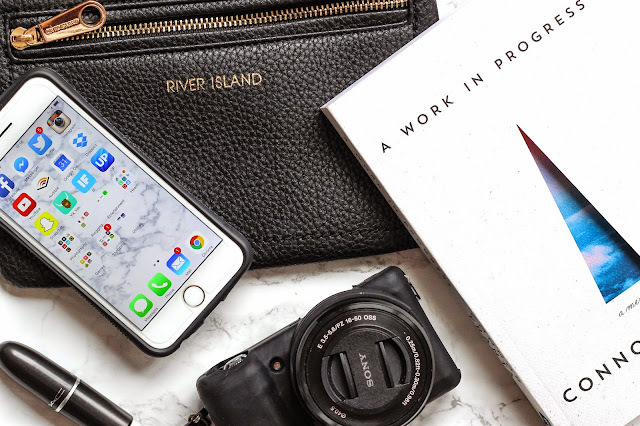 Thankfully Iconemesis was on hand to help and got in touch asking if I wanted to review one of their super-stylish cases for the iPhone 6. A quick look on their site and, although there were no minions, colourful-as-ever me settled upon this simple Cat Sims Feathers design* (£15) that they have since christened a blogger favourite - looks like I wasn't the only one! To my delight when it arrived it wasn't shiny or glossy or cheap but had a beautiful and sturdy matte finish that goes perfectly with my iPhone's silver finish (yes, I really just said that didn't I?). On the downside it probably wouldn't provide much protection from a drop, but when do pretty cases ever? So I'd recommend using it in tandem with something a little sturdier when venturing out near cold hard pavements, tile floors, flights of stairs and the like... and save this to impress your friends on nice cushy carpets. You with me? Well, it's been a while hasn't it? I haven't posted on this little space o' mine in 34 days. But in reality, I haven't blogged for nearly two months and it feels like an eternity. For this you may thank the following: 1) my degree, 2) my degree, 3) my fatigue and 4) my degree. In that short space of time, the 34 days of my life I have been off the grid I have handed in my last two essays I ever plan to write - totaling over 5,000 words - I spent three days in Liverpool attending the national NUS conference and 1) realised what a beautiful city it is and 2) came back with a bag full of new opinions. I have planned what I'm going to do with my immediate life after university, handed in my 44 page dissertation on Social Media, Life Satisfaction and Self-Esteem and sat my penultimate exam. I also dyed my hair ginger. 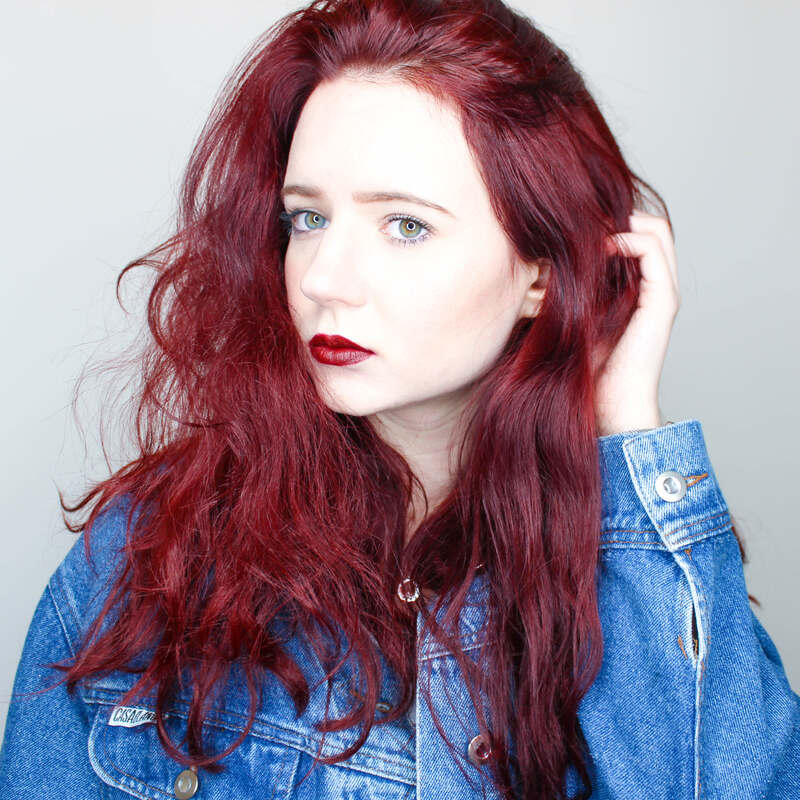 And two lovely people have interviewed me, which you can read: here: Meet the Hull third year with more Youtube views than you (for the Tab - thanks Leona you lovely person, you!) and below (on Darren's Online Marketing Facebook Page). It's safe to say I've been busy. But throughout all of that I have been tired, unbelievably so. I have been so tired I have to have a nap most days, I can't go out and party with my friends until the wee hours or have a week packed full of activities. I'm not being a spoil-sport, I'm not trying to avoid you. Sometimes I get so tired it's difficult to think, to speak clearly, to spell. The closest thing I can liken it to is that I feel like you probably do when you go to bed, all day long. At first I was pretty sure it was me, university is stressful and I have a busy schedule with university work, a social life, a job, blogging, yup. It had to be me. I thought this for about two years - hoping it would end with my degree - until I had a minor breakdown some point in those last 34 days in which I realised I could not do this anymore. Day to day functioning was becoming a major problem. I could manage a few busy days but I'd have to pay with it with the rest of my week.